Make genomic diagnoses using real data with a tool called Seave. A major challenge of clinical genomic testing is determining which of the 4 million genetic changes (or variants) in someone's genome could be the cause of their condition. This is called 'genome filtering'. Understanding how genome filtering works may help you better understand genomic reports, and discuss testing with patients and colleagues. 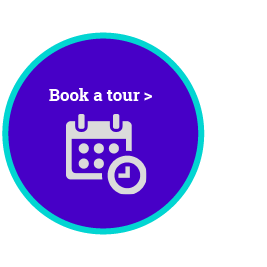 Before you get started with the case studies, you might want to learn more about the process and the program you'll be using. 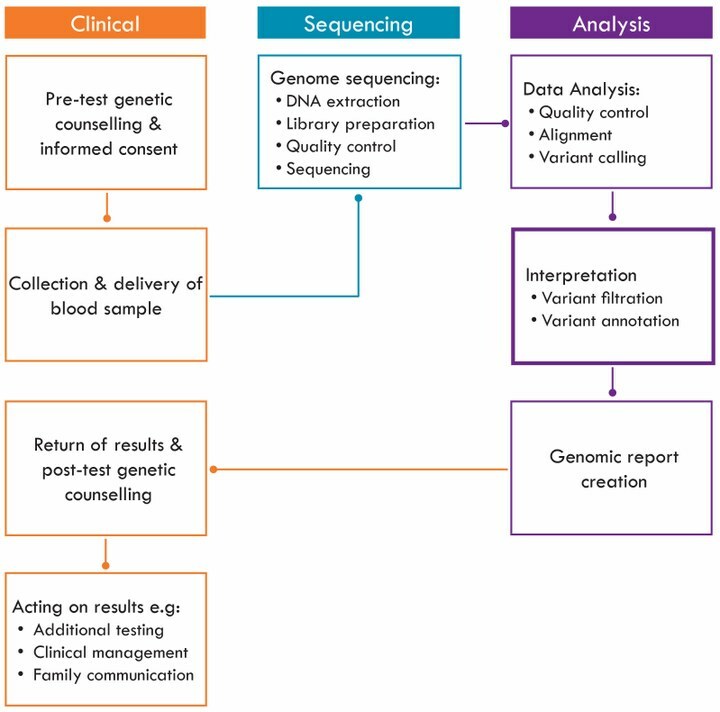 The genomic testing process is outlined in the below flowchart. You will see that genome filtering is broken into the stages of variant filtration and variant annotation, which are discussed more below. In a clinical setting, these would usually be done by a pathologist or genomic analyst. Variant filtration involves applying filters to genomic data to go from the millions of variants in a person’s genome, to a number that can be manageably reviewed. This can also be done on the genomes of a few family members together. This leaves a subset of around two hundred variants. Variant annotation is the next step. This is a manual process of reviewing the remaining variants. Seave is an online tool for genome filtering. It takes the millions of variants identified by sequencing an individual (or family's) genome and puts them in an easily searchable database. Seave then lets you filter down to the variants that are most likely to cause their condition, and investigate these variants in depth to find a genomic diagnosis. To get started, you can download the written instructions. Or watch this instructional video for a more in depth look. It may help to open Seave and follow along in a public database. Seave was designed and built at the Kinghorn Centre for Clinical Genomics (KCCG) by Dr Velimir Gayevskiy and Dr Mark Cowley. It is open source, so those interested in using Seave in their practice can access this paper in Bioinformatics, the source code and the documentation. These case studies were developed for medical specialists, but should be interesting to all health professionals. You can complete them individually and as a team exercise. Start by downloading the Seave instructions, along with the first case study. 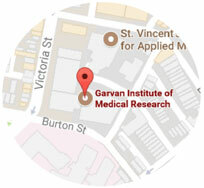 If you have questions or feedback please contact us at kccgeducation@garvan.org.au. Dr Velimir Gayevskiy, Dr Georgina Hollway, Dr Kishore Kumar and Dr Lisa Ewans gave extensive advice and assistance in developing this resource.